Discover Toledo, “The City of three Cultures”! Leave Madrid with us and enjoy this panoramic guided tour in this fascinating town, where Islamic, Jewish and Christian cultures merge together! 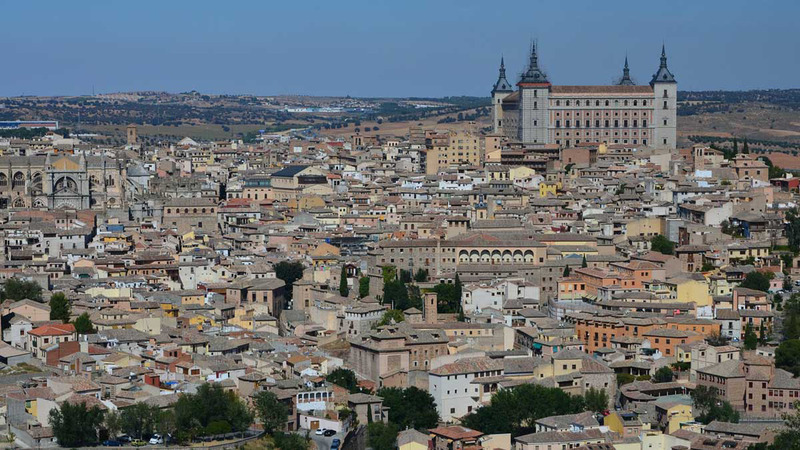 Just a few kilometers outside Madrid, rises Toledo, the hidden gem of the region. Toledo has a long history on its back. Ancient Romans conquered it in 192 BC and many different kingdoms and cultures shaped this place, over the millennia. Arabs, Jews and Christians lived here, sometimes in conflict, sometimes in peace. Our expert guide will tell you everything about the complex history of this place. You will see with your very eyes how the architecture can tell the story of a town, you will admire the way of Arabs, the way of Jews and the way of Christians in every corner, in every church, in every mosque, in every synagogue. Toledo is more than a Spanish city: it’s a place where old Europe shows itself, its roots, its past. This is the reason why, in 1986, UNESCO declared Toledo World Heritage Site. Don’t miss the chance to meet the History in the shape of a city! Follow us and discover the beautiful Toledo! Please, be at the starting point 15’ minutes before the start of the tour. 08:00 AM Plaza Las Ventas, Julio Camba Street, outside Las Ventas Metro station (exit Julio Camba Street). Wheelchair accessible tour available. Must be organized with the local operator a minimum of 3 days in advance. Please call or email the local operator to make arrangements.